I am obsessed with maxi skirts & loose tops at the moment. I need more of these pieces in my closet. I think I need to check out Forever21 coz I know they sure have both in store. i have neither of those..waah i need an ugrade. 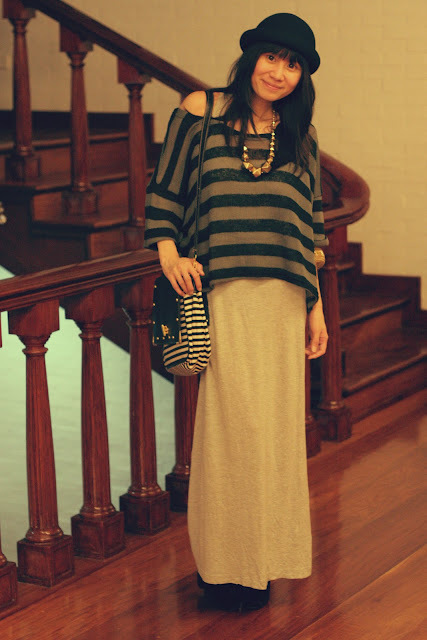 some people tend to look frumpy in this, but you totally rock the loose top/maxi dress combo! I suuuuper love this lloyda! 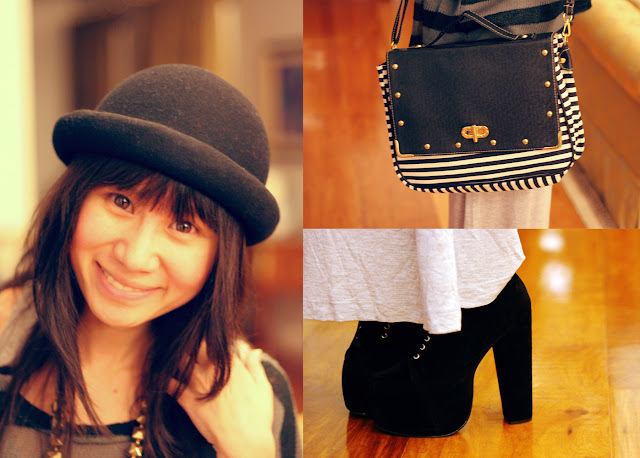 you totally totally carry this look! I don't look good in maxi skirts eh! Great style! Maganda (well dati pa) and blooming ka (lalo) ngayon teh! :) Mwuah! i love it, Lloyda! :) you carry them shoes so well! :) and always awesome in a maxi! love this! such a relaxed yet chic look! super loving the maxi on you... and your bowler hat is super cute!!! looking great! i love maxi skirts and loose tops as well! if i could only carry this look, I would wear this in a heartbeat. Try ko lng din. Baka lng. hehe! You look amazing! 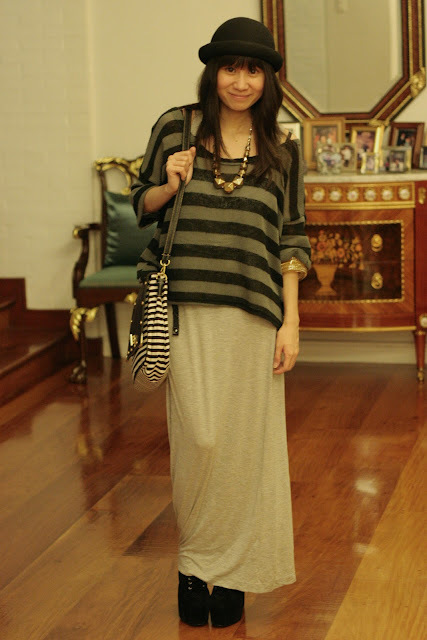 oh my, im loving maxi skirts and loose tops as of the moment too! !